It’s always sad seeing a useful service shut down, especially when it’s one as good (and free) as Xmarks. The bookmark/password/history/tab synchronisation service has announced it is to end operations in January 2011. It appears a failure to turn Xmarks into a financially viable business is the cause, and a buyer for the service could not found. I’ve used Xmarks since it first became publicly available as Foxmarks, and while the bookmark sync across firefox and safari on Mac and PC was great, the real killer feature was password synchronisation. I’ve recently moved password sync to LastPass for the mobile platform support, but will continue using Xmarks for bookmarks until Firefox sync goes mainstream. Farewell Xmarks, and thanks for the great service. I first heard about this Firefox add-on in a recent GRC podcast. Steve Gibson was praising the software saying how much it improved and organised his browsing so I added it to Firefox through the Tools>Add-ons window (search in the get Add-ons tab). You can select where you want the tabs to appear, and also what appearance the tabs should use. The image above shows the metal appearance which looks great with the GrApple Delicious theme. It takes a bit of adjusting to but suits a widescreen monitor very well and allows a lot more visible tabs. The other themes allow even more tabs but us Mac users want a bit of style as well. Bug fixes for both updates and Genius feature added to the AppleTV. Software backs up settings and data, like the Migration Assistant but will work if Windows cannot start. Wish I had known about this two weeks ago when I spent hours retrieving data from a corrupt Windows install. The Macintosh recovery software (as in recovery after theft) has dozens of improvements in the latest version, this is software I bought and use on my Macbook. BeatnikPad hasn’t been updated for a while but there’s now a new source for optimised builds. Firefox has been updated to 3.0.1, a security and bugfix release. I’ve been using the Minefield optimised Intel build from beatnikpad which unfortunately doesn’t see any updates. 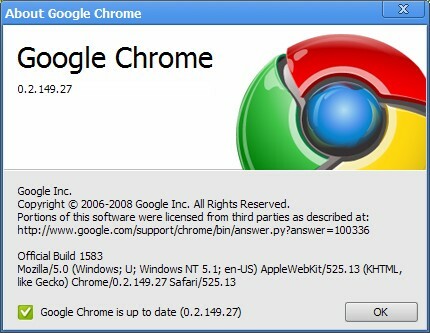 The Intel and G5 versions of firefox 3.0.1 can be downloaded from here. Worth a download as it’s worked perfectly for me since I first started using the optimised builds, and as I have said before a bit more speed and less size is always good when it comes to software.